For more information call ext 1463. 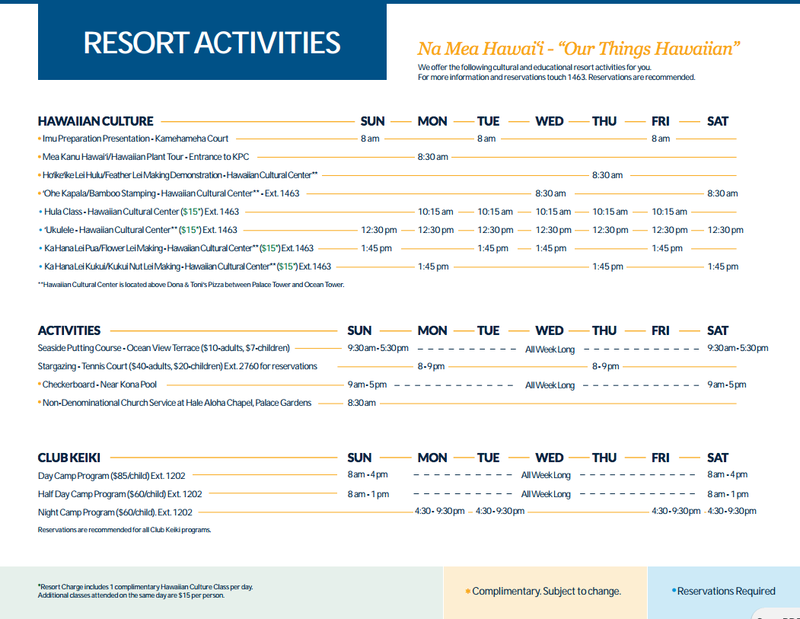 We offer the following cultural and educational resort activities for you. Reservations are recommended.